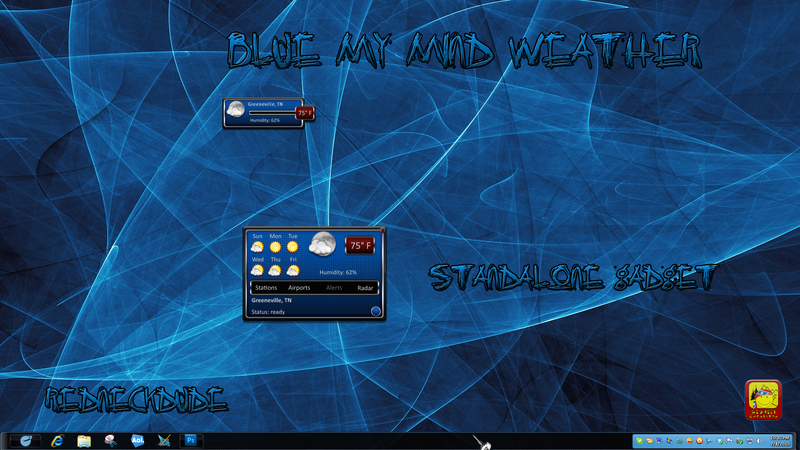 Based on my Blue My Mind DX theme. This does not require DesktopX to be installed. It uses sViz's WU weather script. Thanks, Eve!